"The Rock Hill Police Department is proud to announce the new Crime fighting, Collision reduction strategy called DDACTS. The department has teamed up with Highway Patrol, and the State Transport Police in an effort to reduce crime and collisions in the Cherry Rd, Celanese, Riverview Rd, and Patriot Parkway area's. This effort integrates location-based crime and traffic data to establish effective and efficient methods for deploying law enforcement and other resources. Using geomapping to identify areas that have high incidences of crime and crashes, DDACTS uses traffic enforcement strategies that play a dual role in fighting crime and reducing crashes and traffic violations. Drawing on the deterrent of highly visible traffic enforcement and the knowledge that crimes often involve the use of motor vehicles, the goal of DDACTS is to reduce the incidence of crime, crashes, and traffic violations across the country." Weed and Seed was established here in Rock Hill in 2006. It is part of the U.S. Department of Justice’s Office of Justice Programs and was designed to prevent, control, and reduce violent crime, drug abuse, and gang activity in focused high-crime neighborhoods. Our focused neighborhoods were selected after analyzing crime data to determine "hot spots" or neighborhoods that had the highest amount of drug and violent crime. The original 5 neighborhoods were South Central, Sunset Park, Crawford Road North, Flint Hill and Hagins Fewell. 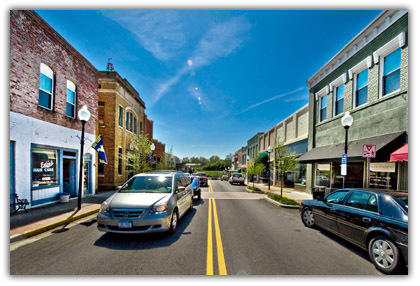 In 2012, we expanded to 7 neighborhoods by adding the the area known as the Triangle and the Saluda Corridor. The strategy involves a two-pronged approach. First, law enforcement and prosecutors work together to “weed out” criminals who participate in violent crime and drug abuse, attempting to prevent their return to the targeted area. Next, “seeding” brings human services to the area, encompassing prevention, intervention, treatment, and neighborhood revitalization. The strategy is to focus on one area of a city at a time until significant progress has been made. While maintaining that progress and continuing our efforts in those areas, we then focus on other areas. This then becomes a cycle as we continue to monitor and analyze crime data. Many successes can be attributed to the efforts that have been put into this strategy and we look forward to even more success in the future as we continue to build and maintain relationships with the community. 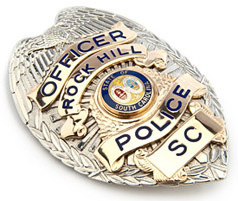 The Rock Hill Police Department has identified several areas in Rock Hill, in which higher concentrations of violent crime and property crime exist. In these areas, we work to pro-actively solve problems identified through crime analysis, investigative leads, and officer's knowledge of the city. CompStat model is a management process within a performance management framework that synthesizes analysis of crime and disorder data, strategic problem solving, and a clear accountability structure. Ideally, CompStat facilitates accurate and timely analysis of crime and disorder data, which is used to identify crime patterns and problems. Based on this analysis, tailored responses are implemented through rapid deployment of personnel and resources. An accountability structure is key to ensuring the analysis is acted upon and the responses are implemented correctly as well as assessing whether responses are effective in reducing crime and disorder (Weisburd et al., 2003). 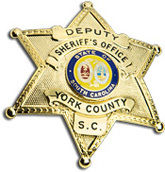 The Rock Hill Police Department has launched a YouTube channel in an effort to help identify unknown suspects of crimes in the area. The Crime Map lets you explore crime in the city, from the entire city limits, down to your neighborhood. 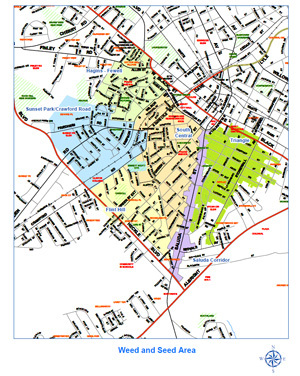 Data supplied for the crime map is reported crimes within the city from the past 6 months. The annual reports contains citywide crime trends for the year 2016. The report includes information on reported crimes, calls for service, arrests, and citations.